Lowongan Kerja PT. 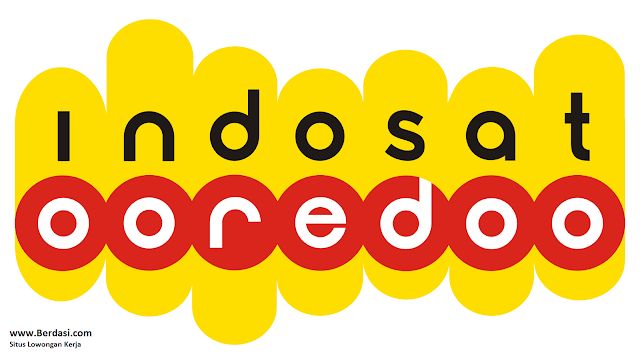 Indosat Ooredoo Oktober 2016 - Perusahaan kami Lebih dari 40 tahun yang lalu, Indosat Ooredoo didirikan sebagai penyedia jaringan dan jasa telekomunikasi Indonesia yang terintegrasi. Anak perusahaan PT Indosat Mega Media (IM2) dan PT Aplikanusa Lintasarta, Indosat Ooredoo menyediakan data tetap atau jasa Multimedia, Intranet & Komunikasi Data seperti IPVPN, T1, dan layanan internet. Indosat memelopori pengenalan layanan broadband nirkabel dengan 3.5G HSDPA teknologi untuk Indonesia dan berhasil mencapai daftar ganda untuk saham pada tahun 1994. Hari ini saham biasa perusahaan terdaftar di Bursa Efek Indonesia (IDX:ISAT) dengan American saham juga tercatat di Bursa Efek New York (NYSE:IIT). Indosat Ooredoo merupakan operator selular terbesar kedua di negara dengan lebih dari 55 juta pelanggan. Deliver regular and ad_hoc reporting; regular reporting consists of Daily, Weekly, Monthly and Quarterly. These reports to feed Operational Level, Top Management Level and Shareholders level. Some ad_hoc reporting is also required to support response and feedback. Support Channel and Regional team by providing regular performance review by weekly basis and do some recommendation if required. Proactive and think sharply to identify abnormal or different pattern of company KPI (Subscribers, VLR, Revenue, Traffic, Reload) and give alert to Customer Analytics team and relevant units for deep diving analysis to get the answer and recommendations. Corporate level proficiency in MSWord, Excel, PowerPoint, business email and computer skills. Responsible for delivery and administration of employee services on industrial aspects such as retirement, industrial cases, and employee discipline to ensure business staffing strategies are aligned to corporate goals. Proficient in ERP system (SAP) is favorable. Minimum University Degree (S1), preferable Master Degree (S2) with major study in Informatics / Computer / Electrical / Telecommunication / Industrial Engineering. Excellent communication in both Bahasa Indonesia and English. Excellent technical writing and reporting. Excellent presentation and persuasion skill capabilities. Excellent knowledge of telecommunication business in general. Excellent understanding in general and specific business process within the business users. Excellent knowledge of IT system in detail and technology roadmap. Has an excellent knowledge of Customer Relationship Management (CRM), Provisioning System, Order Management, Product Catalog and Enterprise Service Bus (ESB). Has an excellent knowledge in Contact Center, Queuing System & Gallery application and Infrastructure. Has a good knowledge in ISS (Infrastructure) in the area of server, storage, database, cloud & virtualization, backup system, desktop, local/wide area network, data center and disaster recovery. Has a good knowledge in IT application and system design, database design and infrastructure design. Has a good knowledge in Business Process Framework (eTOM), Application Framework (TAM) and Information Framework (SID). Familiarity with Enterprise-Architecture (EA tools) such as Mega, IBM Rational Rose and Alfabet.